You don’t need to wait for the summer to get outside and enjoy some incredible hikes. Panoramic lookouts, waterfalls, canyons, and forests can all be explored at elevations below the snow-line. We’ve compiled a list of great spring hikes near Vancouver to get you started. This isn’t an exhaustive list of all the spring hikes around Vancouver. It’s a collection of our 14 favorites. Hopefully you’ll find some new ideas for spring hikes to tackle while the weather is warming up. A word to the wise before we begin. Safety is always the most important consideration when hiking. As snowfall is unpredictable, it is possible that snow may persist on some of these trails into the spring, or they may be icy. Even though it’s spring, the higher mountains will still have plenty of snow – and avalanche risk. Even with daylight savings time, it still gets dark earlier than in the summer. And it is still cold. Especially in the forests, or on shaded portions of mountains. Dress and prepare accordingly. MicroSpikes or Trail Crampons are a good idea to carry. Make sure to know the trail conditions before you head out, follow common sense and standard safety practices, and always carry the Ten Essentials. Details: The hike to Goldstream Trestle is one of the more popular hikes around Victoria. The hike isn’t too long but packs a lot of elevation gain, making it a good workout. This hike in Goldstream Provincial Park also takes you to Niagara Falls, which is an impressive 156 feet (47 meters) tall. A word of caution: While the Goldstream Trestle is not an active railway line, maintenance crews do come through on these tracks. While most of the trail leading up to the trestle is B.C. Parks land, the trestle itself is on private property. The trestle is dangerous in itself and you are strongly discouraged from actually going onto the tracks. Details: A short ferry ride from Horseshoe Bay, Bowen Island is a great place to escape the city for a day. 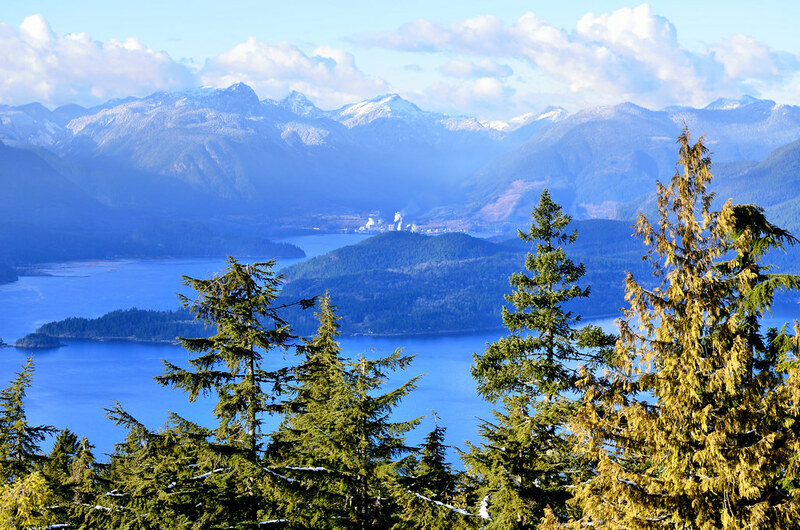 Mount Gardner provides views of Vancouver, the Sunshine Coast and the Howe Sound islands. There are plenty of trails on the mountain and the hike can be completed in a loop. Mount Gardner is a very enjoyable hike with great scenery and views. Details: Yeo Point is a terrific hike in Ruckle Provincial Park on Salt Spring Island. The Yeo Point Trail takes you through old-growth forest before reaching the ocean and a nice beach. 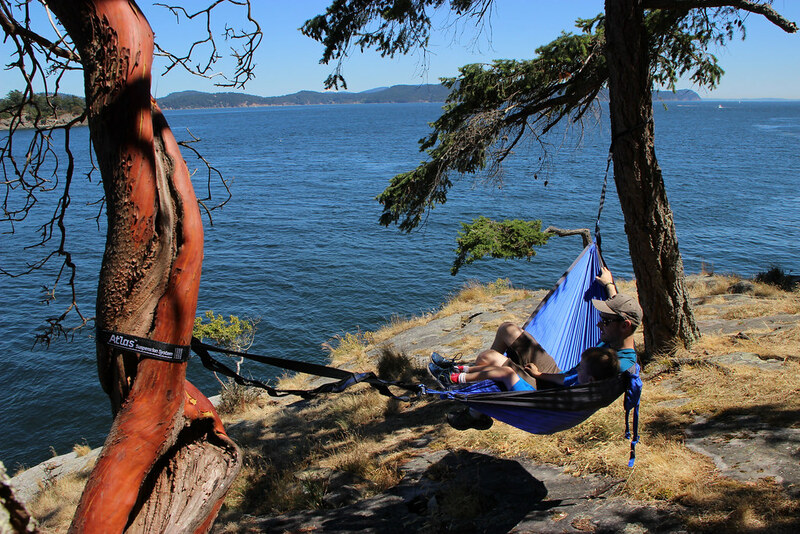 Yeo Point is a spectacular rocky outcrop with arbutus trees overlooking the ocean. The trail is roughly 10 km and is suitable for children. The trail is relatively flat, and while long in distance, is otherwise easy. If you’re visiting Salt Spring Island, Yeo Point is a great spring hike. The Stawamus Chief gets snow during the winter, but not as much as some of the other nearby mountains. The summit is usually free of snow in the early spring, making this a great warm-up hike for the summer months ahead. Details: Tunnel Bluffs is a hike along the Sea to Sky highway. Near Lions Bay, The Tunnel Point Trail up to Tunnel Bluffs is steep and difficult. But there are several beautiful viewpoints along the way to keep you motivated. 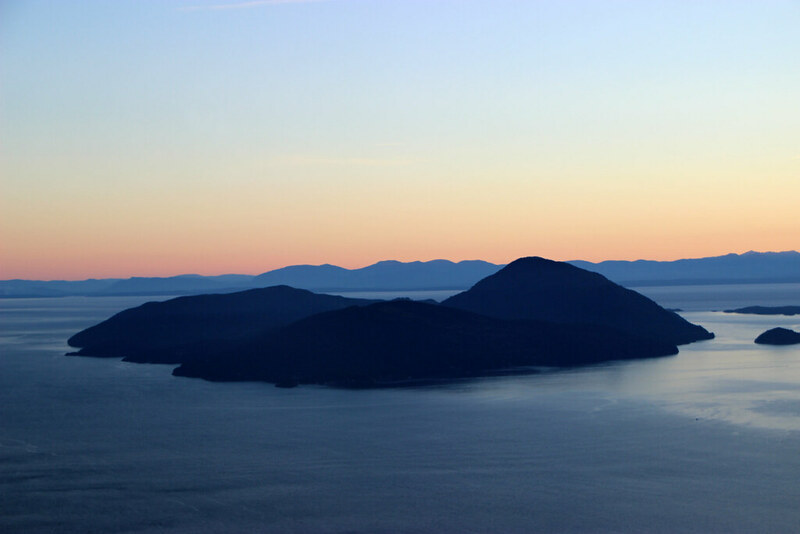 From Tunnel Bluffs, you have an unbeatable view of Howe Sound and its many islands. The entire hike can be completed in about 4 to 5 hours. Details: Lighthouse Park is a beautiful strand of old-growth forest in West Vancouver. It home to some of the largest trees remaining on the North Shore. There are plenty of trails in Lighthouse Park. It is a great location for a family outing on a sunny or a rainy day. From the shore you have fantastic views of the Salish Sea, downtown Vancouver and Stanley Park. 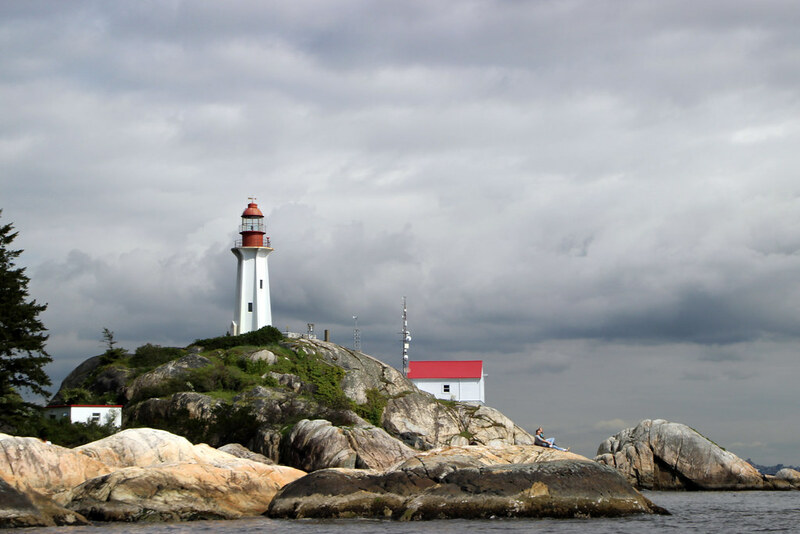 Lighthouse Park is home to an impressive lighthouse built in 1912, which sits on Point Atkinson. 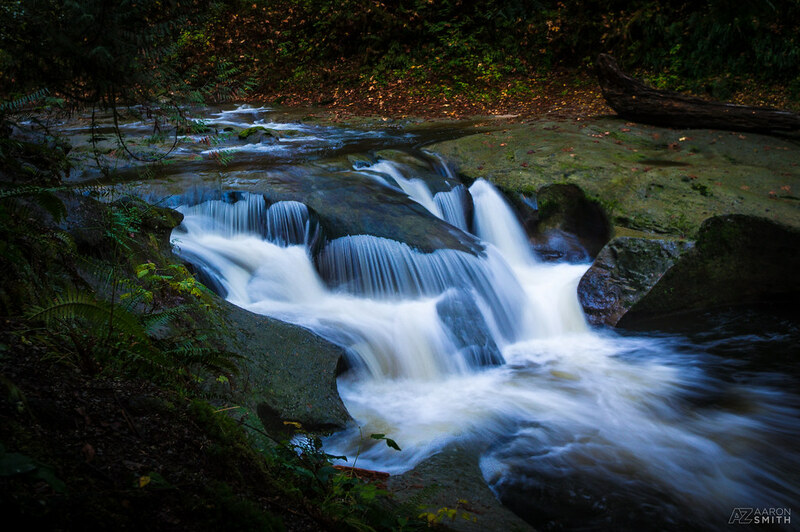 Details: Cypress Falls Park is a lesser known, yet impressive area of forest in West Vancouver. Similar to Lighthouse Park, you’ll find some truly massive trees here. Cypress Falls Park sits at a low elevation and is accessible year-round, It is a great hike to save for an overcast or rainy day. There are two falls within the park. The lower falls are a short 15 minute walk from the parking lot – great for a walk with little kids. The upper falls require a bit more navigation but are well worth the effort. 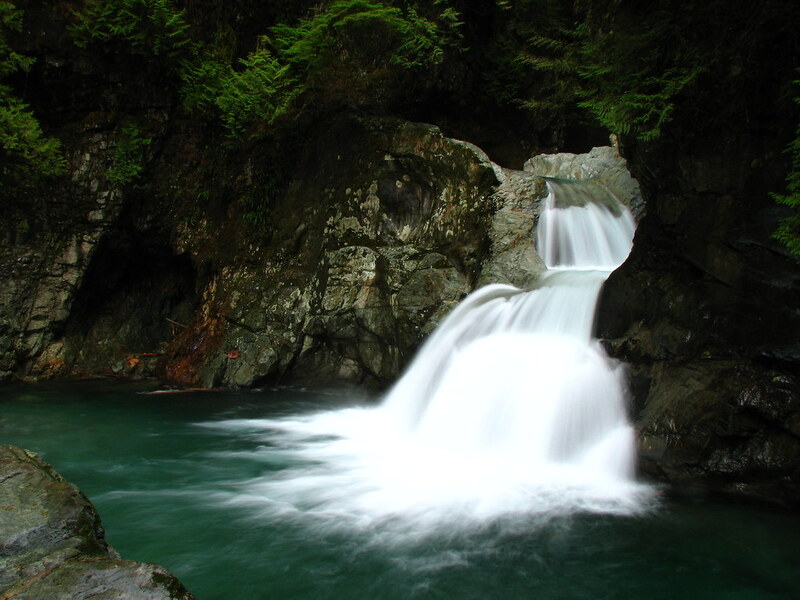 Details: Twin Falls is a popular hike year-round in North Vancouver. The trail crosses over the Lynn Canyon Suspension Bridge. The trail follows Lynn Creek down to a vantage point of the beautiful Twin Falls. 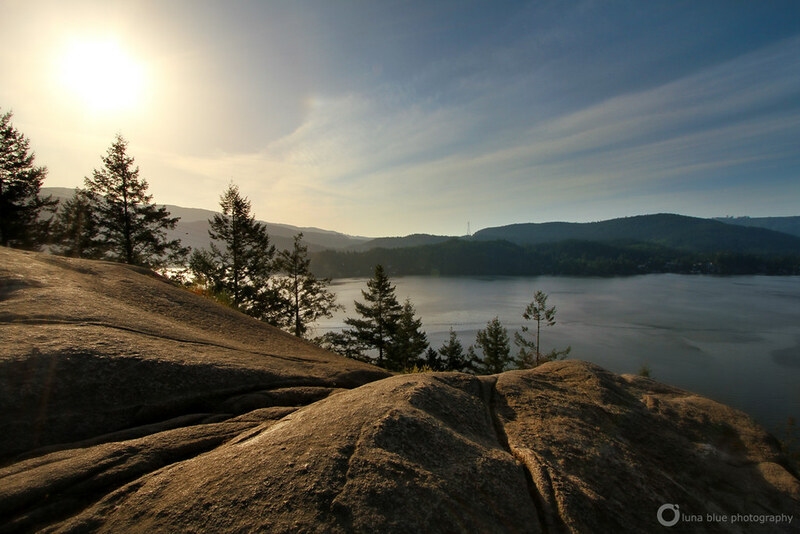 Details: Quarry Rock is one of the most popular hikes on the North Shore. The summer crowds can be large on this trail, making the spring a great time to cross it off your list, when there are fewer people out. (It will still be busy, just less so than the summer). 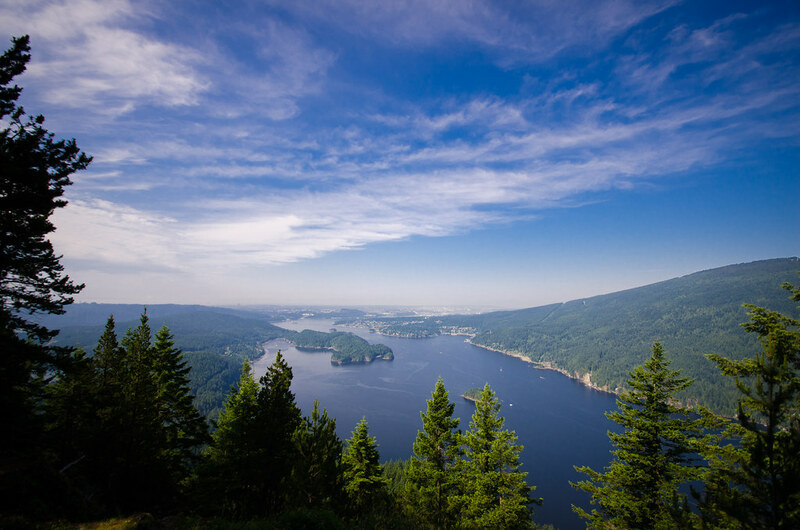 The trail is 1.9 km up to an overlook of the Indian Arm and Deep Cove. A great picnic spot with an incredibly rewarding view for a relatively easy hike. Details: The hike to High Knoll is located within Minnekhada Regional Park in Coquitlam. There are many trails to explore throughout Minnekhada Park. The main trails are the Quarry Trail, Mid-Marsh Trail, Lodge Trail and the Fern Trail. 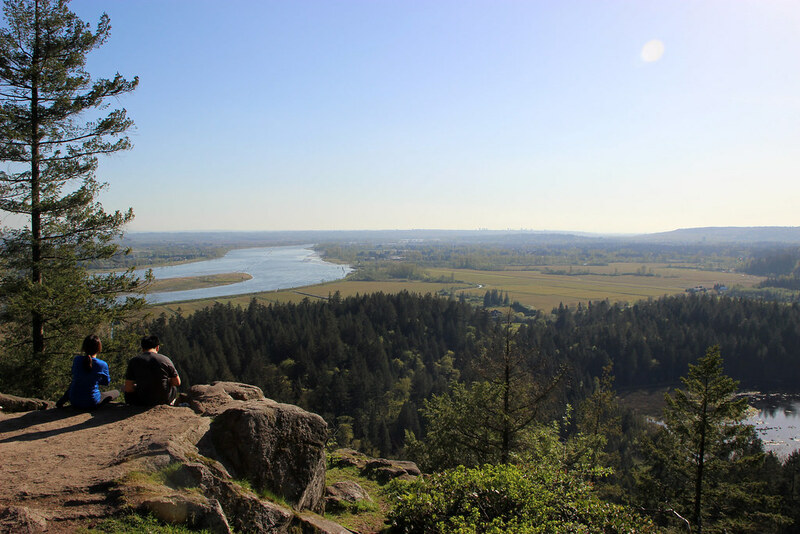 The hike up to High Knoll provides an incredibly rewarding view of the Fraser River and Fraser Valley. There is also a marsh, rich with wildlife, located in the middle of the park. Details: Kanaka Creek Regional Park in Maple Ridge is another great park with many easy walking trails. Kanaka Creek Park is large and has several entrances but the most popular is near Cliff Falls. 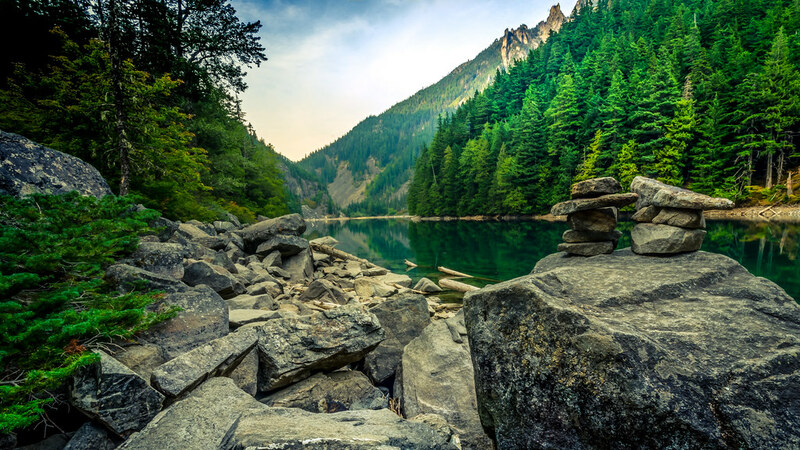 Bridges over the serene Kanaka Creek and a peaceful forest make this park a gem. Cliff Falls and the Bell-Irving Hatchery are icing on the cake. Details: Cascade Falls is a very short ‘hike’ (more like a quick walk), but well worth the trek out to Mission. 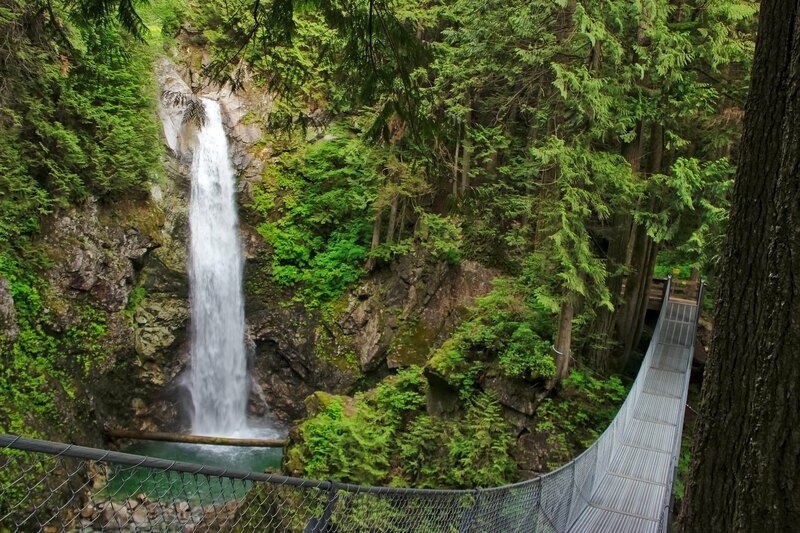 A short trail with wooden stairs takes you up to a suspension bridge and lookout over the scenic falls. Really in depth and knowledgeable article for anyone looking for some spring and even summer/fall hikes in the area. One of our favourites is twin falls – such a beautiful hike!